As military members complete their tours of duty, re-establishing their careers may be one of the most important tasks in returning to civilian life. 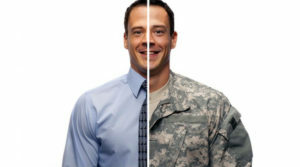 Some may be returning to careers that were interrupted during the time they served, but many are starting from scratch. Though the job market is showing some signs of improvement, it’s a slow rise, and those returning veterans are only adding to the many already vying for available jobs. This is one reason many veterans are coming home with aspirations of starting their own businesses. Entrepreneurial endeavors may be the desired direction, but a good number of veterans express the difficulty acquiring their startup funds to be their biggest challenge. While most industry sectors have veteran business-owners, be it manufacturing, consulting or service industries, technology-related businesses appear to be increasingly popular for veteran entrepreneurs. 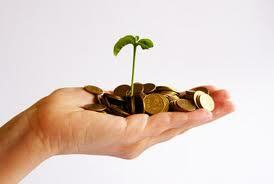 Banks are not as willing to establish loans for startup businesses. 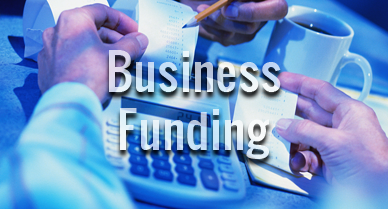 This leaves potential business owners needing to resort to other means to get their enterprises underway, be it self-funding, crowd-funding, or acquiring funds from friends, relatives, angel investors and venture capitalists. When those resources do not prove to be sufficient, an alternative is exploring government grants specifically for veterans in technology. There are some stipulations. 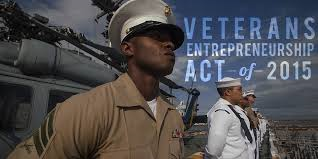 For example, while the federal government cannot provide grants to a business in the startup phase, it can provide grants for veteran-owned technology firms once established. Two in particular, the Small Business Innovation Research (SBIR) program and the Small Business Technology Transfer (STTR) program, average $2 billion in grants awarded each year. Administered by the U.S. Small Business Administration, the businesses most likely to be awarded grants from these programs fall into the small high-tech category, related to healthcare, education, public safety and criminal justice. With numerous opportunities for gaining financial stability, and informational resources, such as those available through organizations like VAMBOA (Veteran and Military Business Owners’ Association), startups for veteran entrepreneurs are, indeed, attainable. Of the 28 million businesses in the U.S., approximately 2.4 million are veteran-owned, and this number is growing. 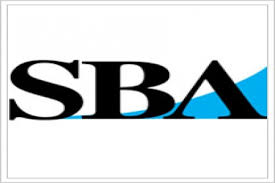 This week, the U.S. Small Business Administration (SBA) announced that it will be launching an innovative tool on its website that will allow entrepreneurs looking for a small business loan to connect directly with an SBA lender. The tool is called LINC, short for “Leveraging Information and Networks to access Capital.” By filling out a short online form, LINC connects entrepreneurs to lenders within 48 hours. 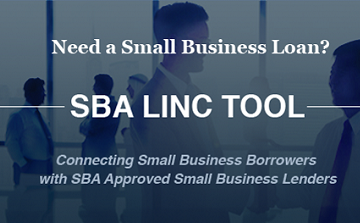 The SBA hopes that through the utilization of LINC, the federal agency will be better able to provide guidance and ensure that more capital is reaching our nation’s small businesses. It is the hope of the SBA that LINC will free entrepreneurs from feeling like their only lending option comes from one neighborhood bank. By using technology, LINC will help entrepreneurs get their foot in the door at multiple institutions, in one shot, and improve their access to the capital they need to start or maintain their small business. Currently, there are 124 lenders across the nation participating in LINC. The SBA will look to expand into more traditional banking institutions that offer a more diverse menu of financial products.